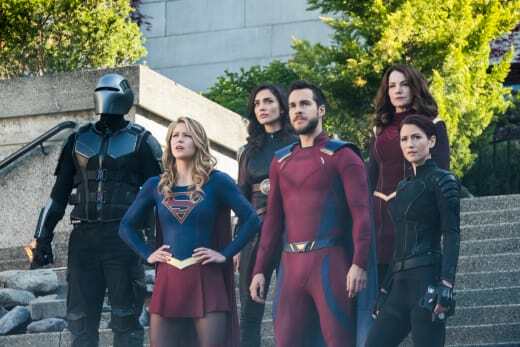 Mon-El and Winn departed for the future while Brainy stayed behind on Supergirl Season 3 Episode 23, and we have some mixed feelings about that development. 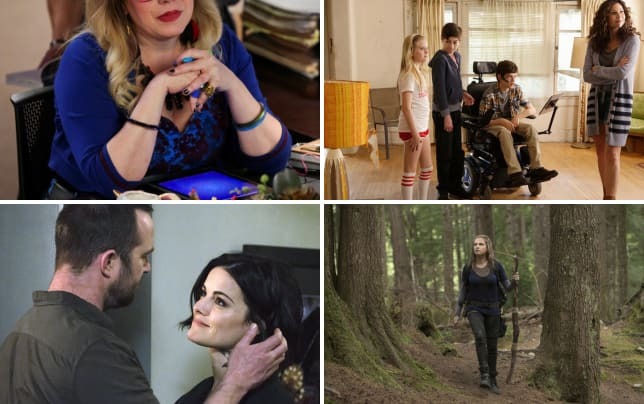 Below, TV Fanatics Christine Orlando, Kathleen Wiedel, and Stacy Glanzman discuss James revealing himself as Guardian, Alex's new position, and of course, that cliffhanger! React to Mon-El and Winn's departures. How do you feel about Brainy replacing Winn at the DEO? Christine: I hate it! Winn is the heart of this group, and Brainy doesn’t come close to replacing that. Winn has an amazing bromance with James and a unique relationship with so many of the other characters. I like Mon-El, but I’m not heartbroken over his departure, but replacing Winn with Brainy is just plain wrong. Kathleen: I'm surprised and saddened to see Winn go, and replacing him with Brainy came as an even bigger surprise. I certainly don't dislike Brainy by any means, but as Christine pointed out, Winn has so many connections and relationships with the other characters that Brainy just doesn't have. As for Mon-El's departure, I'm glad that they addressed his relationships with Imra and Kara. Mon-El's changed a lot since he was the spoiled jerk of a prince from Daxam, and that maturity has done him nothing but favors. I'd be happy to see him back in the future at some point. Stacy: I'm going to miss Winn. I'm trying to be optimistic about it, because I know he's not completely gone, but it's hard to imagine not having him as a regular. I like Brainy, and if we can't have Winn full time, he's better than nothing, but it won't be the same. As for Mon-El, I like him and the way they wrapped up his relationships, but I am not heartbroken about his departure either. I would not be opposed to him guest starring sometime though. What are your thoughts on James revealing himself as Guardian? What obstacles do you think he might face? Christine: It was a gutsy move on his part and will give him some obstacles to face next season when he's inevitably labeled a vigilante. I love James, so anything that will give him more screen time makes me happy. Kathleen: Um, he is a vigilante. No two ways about it. If this were real life, James would have some very serious questions to answer. Anyway, revealing himself publicly brings up a whole slew of problems, not least of which is the fact that he put a target on the backs of those close to him from the bad guys who might want to hurt him. This was a major theme of Iron Man 3, you may recall. Stacy: I'm intrigued by this development. In addition to what's already been said, I wonder how this is going to affect his position at CatCo. He'll have questions to answer, as Kathleen said. His life is about to be turned upside down. I wonder if he'll end up regretting it (at least initially). Is Alex ready to lead the DEO? Do you want to see her pursue adoption next season, or perhaps a new relationship? Alex should take more time before she decides to adopt. That’s not to say she shouldn’t do it, but it’s a huge responsibility and will be an enormous challenge. She needs to think it through before she makes that commitment. Kathleen: I'm pretty sure this is a case of "reality need not apply." Being the Director of any organization is vastly different from working in the field. Is she ready for all the paperwork? That's the greatest enemy she'll ever face! Seriously, though, I'm with Christine to a large degree. Related: Supergirl Shake Up: Chris Wood Departs! It's not like Alex has any experience in a management capacity. And, yes, J'onn spent far more time in the field than is typical for that type of position, but he's a super-powered alien with abilities that his agents simply don't possess. Alex doesn't have that excuse. And, frankly, she should nail down her professional and personal life before she even considers adoption. And, for all that is good, please do not let her date one of her subordinates. The DEO may not be military, but they are definitely paramilitary, and that sort of thing cannot turn out well with the constant stream of life-threatening enemies they deal with all the time. Stacy: We've seen Alex temporarily take charge of the DEO before, so I think she has the ability and the leadership experience to do it. However, I can easily see her miss being in the field and decide it's not for her. Plus I am hoping J'onn will come back eventually. I would like to see Alex get back into the dating scene before diving head first into adoption. I know she wants a kid, but what's the rush? She's still young, and if she plans to adopt, it's not like she has to worry about her biological clock. 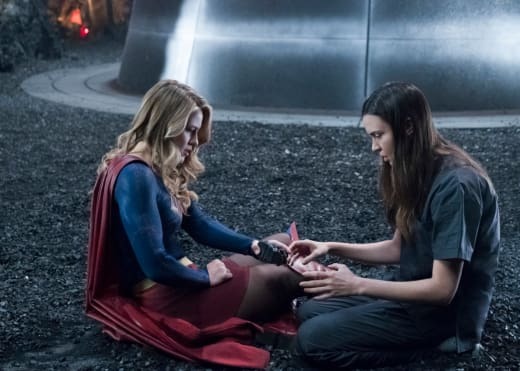 Do you have any thoughts or theories on Lena's experiments or the second Kara in Siberia? Christine: I’m guessing that Kara was split apart in a similar way to Sam/Reign. I did not doubt that Lena kept some of that rock for herself. What scientist wouldn’t? Now they’re going to need it to put Kara back together or get rid of her doppelgänger. Kathleen: I like Christine's idea for the source of the second Kara. It makes sense for what we know so far. Of course, they may completely throw that out and go with something else entirely, but we can't know that now! And it's no surprise that Lena's still experimenting with that rock. 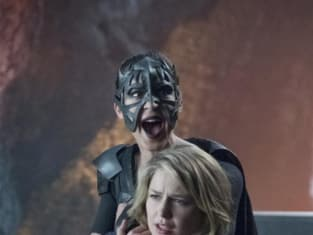 While it's nice to establish a complex relationship between her and the rest of the protagonists, I hope that they don't just have Lena turn into a doppelganger of Lex, doing evil things just behind the curtain. And you know what they say about the road paved with good intentions, Lena. Stacy: I like that theory as well. It does make sense. I read somewhere that it is going to be related to a Superman story that questioned what it would have been like if Superman had landed in Russia instead of the US. I've never read any of the comics, but it sounds like an intriguing storyline to tackle. As for Lena, I'm not surprised she's doing her own experiments either, but as Kathleen said, I don't want to see her go down a dark path. Rate the finale and the season as a whole. What are your hopes for next season? Christine: I’ll give it a B. I did feel that the World Killer storyline dragged on in places and the cult angle never really felt like it played out completely. I loved the development of Lena and James' relationship, and I want to see more of that next season. I also liked the friction between Lena and Kara, because everyone loving Supergirl just isn’t realistic. I will miss M’yrnn, but I thought his story wrapped up well. I also hope they find a way to keep Sam and Ruby. On the flip side, I thought Mon-El’s conclusion was lackluster. I couldn’t believe that when Imra voiced her doubts about their marriage, his only response was, “But we were still pretty good partners in Legion.” That was just lame. 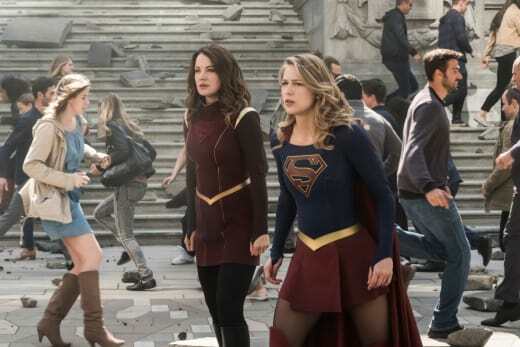 Related: Supergirl Shocker: Who's Out as Series Regular? Kathleen: To be honest, Christine, I'm impressed that they got even that much with regards to the Imra/Mon-El marriage. It wasn't a love match after all; they married for other reasons. While I'm of the personal stance that marriage isn't something that should be casually set aside (the vows do traditionally read "until death"), the truth is that these two probably shouldn't have married in the first place. I'm satisfied that they addressed it before the end of the season. I loved the M'yrnn storyline, as sad as it was. Lena and James (especially James) felt a bit detached from the rest of them at times, but the World Killers and Sam kept Lena from drifting too far. For the season as a whole, I'll stand with Christine and give it a B. Strong, but not outstanding. Stacy: I'll give it a B as well. I loved M'yrnn's storyline as well; it gave us so many heartwarming moments. I also liked Lena and James and Mon-El's growth. The early part of the season had some issues, namely Morgan Edge who did not work at all and was just obnoxious, but I think as a whole the season was pretty strong. Christine: James: "I can’t keep waiting on the world to change. My future’s now.” - Also, if Winn had to leave, I was glad they all got to say goodbye. That scene was well done, even though I’d gladly forget it all to have Winn back! Stacy: Winn's entire goodbye scene, but specifically the part with Kara. Something about the way she reminded him that he was the first person she ever told she was Supergirl had me tearing up. 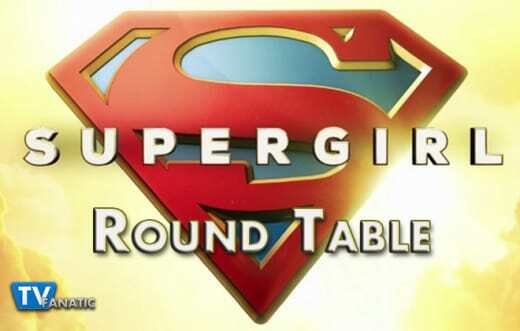 Over to you, Supergirl Fanatics! Do you agree? Don't forget to watch Supergirl online via TV Fanatic!